Lock in a great price for JW Marriott Orlando Grande Lakes – rated 8.8 by recent guests! Really, enjoyed the staff at the pool restaurant. All were excellent and treated us with such attention. The pool was perfect, the great breakfast at the Citron, to the amazing dinners at the Primo. The grounds were excellent. Great mini getaway with the family. We love the pool and The Kitchen is our favorite restaurant. Everyone is always so nice. Daniel and amango(spelling?) were awesome at the pool. Very nice hotel kept very very clean. Great Staff. The scenery, dinning, location to events i was going to. Beautiful buffet breakfast and pool area was spectacular. Room was clean and comfortable. 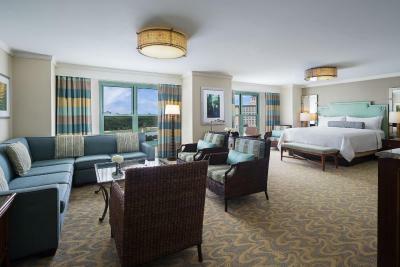 JW Marriott Orlando Grande Lakes This rating is a reflection of how the property compares to the industry standard when it comes to price, facilities and services available. It's based on a self-evaluation by the property. Use this rating to help choose your stay! 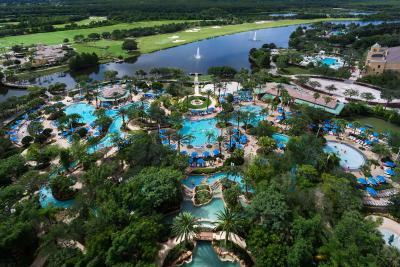 One of our top picks in Orlando.This tropical landscaped Orlando resort provides transfer service to local theme parks including Walt Disney World, Universal Studios and SeaWorld. 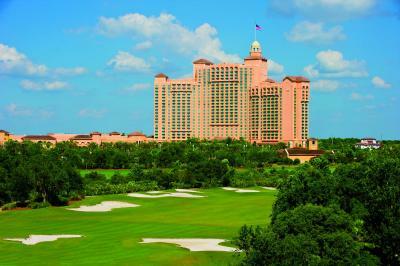 Guests will enjoy an on-site golf course, lazy river, and outdoor pool. 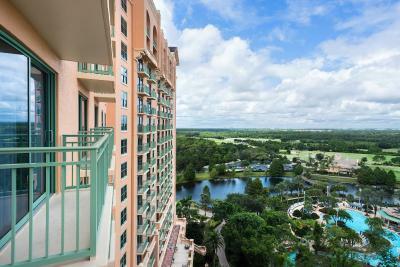 Walt Disney World Resort is 9.9 mi from the property. 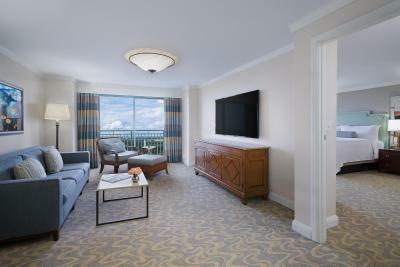 A flat-screen cable TV, iPod docking station, and free bottled water are included in all guest rooms at the JW Marriott Orlando Grande Lakes. Each marble bathroom includes a separate shower and bath with bathrobes. An extensive fitness center is on site as well as the Ritz Carlton Spa, which offers massages and body scrubs. 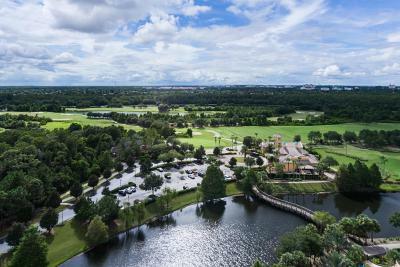 This Orlando Grande Lakes JW Marriott also offers tennis courts, volleyball, and express check-in and check-out. 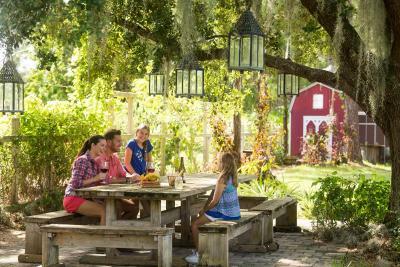 Guests can schedule guided fly fishing excursions, golf or kayak eco-tours of Shingle Creek directly with the hotel. 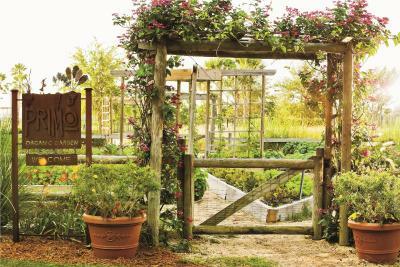 Primo, by Melissa Kelly is an organic Italian restaurant featuring ingredients from an on-site vegetable garden. 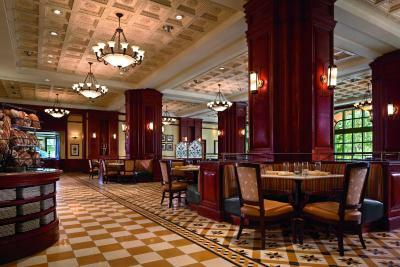 Citron, An American Brasserie offers Contemporary American cuisine with nightly specials and wine selection. A poolside bar is available as well. SeaWorld Orlando is 3 mi from the property. 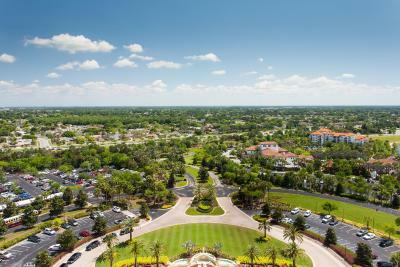 Marriott Orlando Grande Lakes is 12 mi from Orlando International Airport. 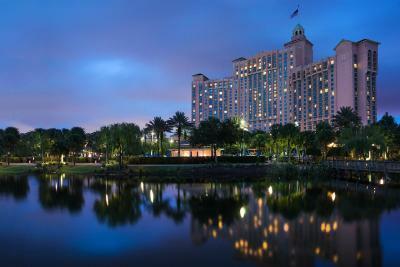 When would you like to stay at JW Marriott Orlando Grande Lakes? 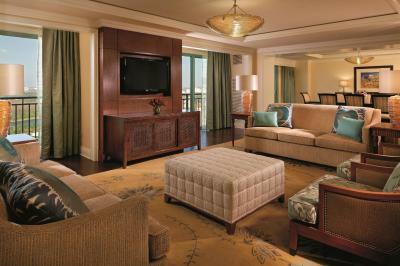 This room features a flat-screen cable TV and tea- and coffee-making facilities. 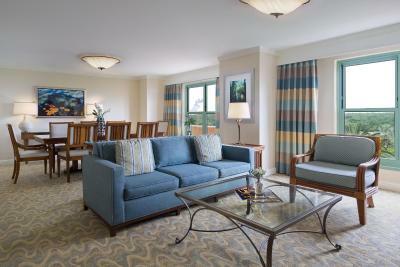 This room features a flat-screen cable TV and a tea and coffeemaker. 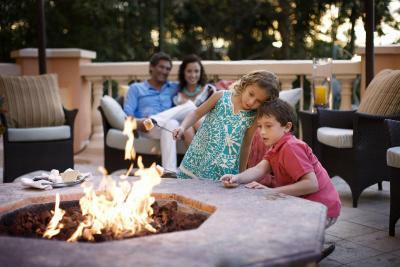 House Rules JW Marriott Orlando Grande Lakes takes special requests – add in the next step! 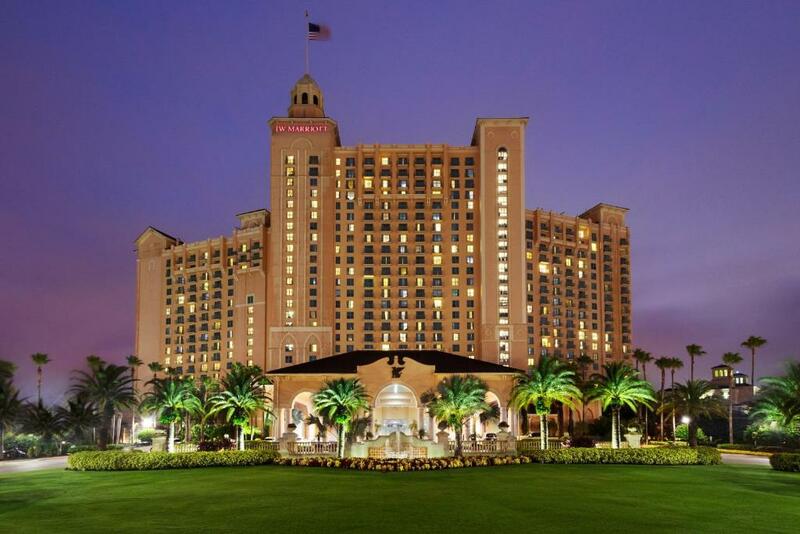 JW Marriott Orlando Grande Lakes accepts these cards and reserves the right to temporarily hold an amount prior to arrival. At first glance, the facility is beautiful. However, being a Gold Elite Member, I used 100,000 points towards my trip. My view and room was very disappointing. My room was on the 4th floor (Rm 4007), and as I looked out the window I saw broken shingles, exposed tar paper, and garbage wedge into the holes on the roof. Next, housekeeping didn't clean our room until after 5pm in the evening and the next day didn't finish cleaning the bathroom. I guess I expected better for my consistent loyalty to the Marriott Brand. I travel weekly, and utilize your Bonvoy Brand. On business I'm satisfied, but when I want to vacation, I want that same experience. Unfortunately, we were disappointed. The room is awkward (furniture layout) with nowhere to put anything. The climate control is bad —way too hot at night. The self parking is really bad-way too far away. I felt it was rude to charge yet another fee ($25) for the use of the splash pad after we had already paid more for the resort fee and for parking. That should all be included in one price. That I had to pay 29$ every time I left the hotel for parking. Ridiculous. I’m for fed up and asked assistance at the gate why am I spending more for parking than hotel. It’s bad that they do not track the actual day and night stay instead they will charge you $29 every time you leave for 5 hours. Ridiculous!!!! Everything was SO overpriced especially for the quality It was a huge production for us checking in. We rented 2 rooms for my family and 1 for my sister & brother in law. Since I booked through Expedia it was a big inconvenience circling in, since my confirmation number was from Expedia and not Marriott. It took forever with frustrated guests behind us. Staff were universally unhelpful and cold. Polar opposite to the Ritz culture next door. Also, everything was incredibly expensive. In addition, signage was poor and navigating the grounds was confusing. The bed, room and food was good. Water in the bath was not hot. 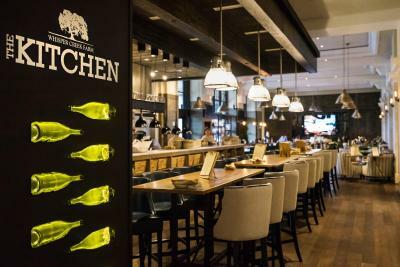 Inflated food and beverage prices. Self parking too far away and no covered walkway to hotel. I got soaked in a rain storm. That we had to pay for WiFi and parking. The self parking should be free....29.00 per day is ridiculous. Also paying for WiFi is not right when you are paying 250.00 a night for a room. The staff were very friendly and accommodating. The spa was wonderful.